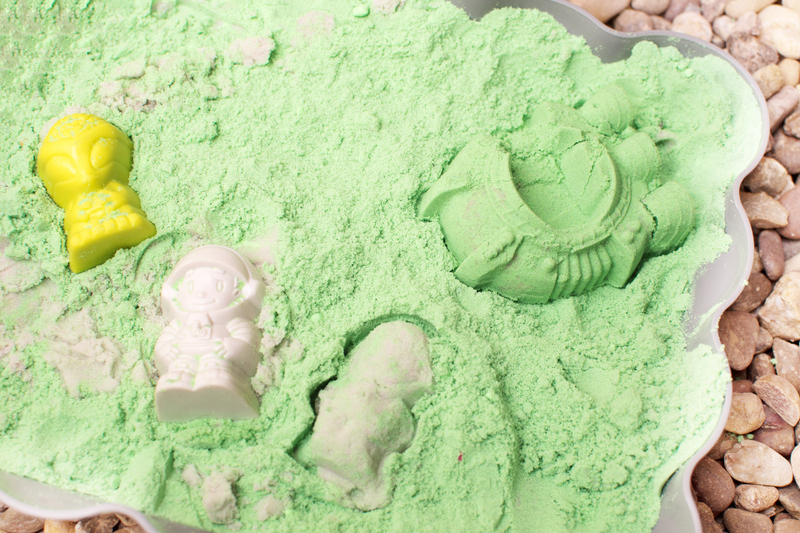 Before we talk about the Cra–Z–Sand Glow in the Dark Space playset, let me tell you about what happened in my household. Just in case your little ones are just like mine. Then you can relax knowing what I learned. 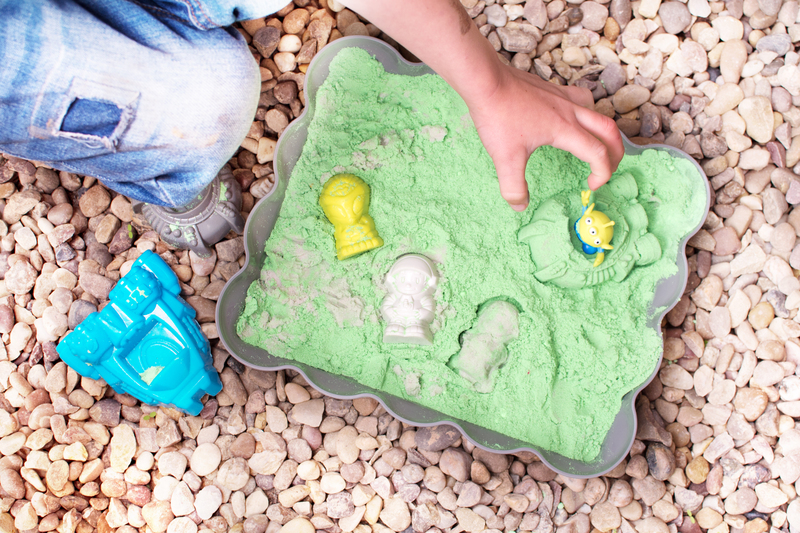 I’ll admit that I was cringing as the Cra–Z–Sand set entered my living room. Picture the scene: cream, soft pile carpet, light biscuit plush sofa… It was a recipe for disaster I was sure, but they were so excited to finally try some of the sand they’d seen on TV for so long. And, you guessed it, I went to the kitchen to make a cup of tea and within minutes I returned to the living room to see a neon green patch of carpet AND blue sofa cushion. How they manage it I’ll never know. I think I screamed a little. I can manage blobs of modelling clay – but neon patches bigger than Hero’s bottom [he was in the middle of it all]? Never before. I reached for [read: threw myself at] the box and read as fast as I could. Non-Staining it said. I’m capitalising that because it’s so important. I hoovered over the patch and it faded – and I panicked. It was a HUGE stain. I looked at my sofa and wanted to cry. Blue. I was about to cry and put my hand over the patch – and realised how sandy it still felt. So I hoovered more, and more, and practically scrubbed the carpet with my hoover hose. It disappeared very gradually, but within a few minutes it was all gone. The sand is so fine it looks as though it’s stained, but it isn’t. So I panic less now – and I prefer it over modelling clay any day. 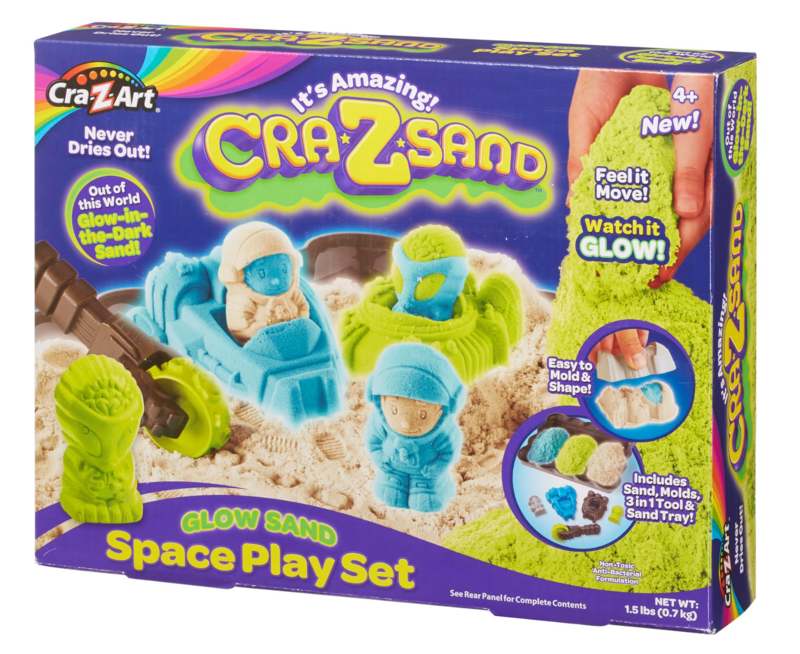 Anyhow, the Cra–Z–Sand Glow in the Dark Space set was very much welcomed into our family. 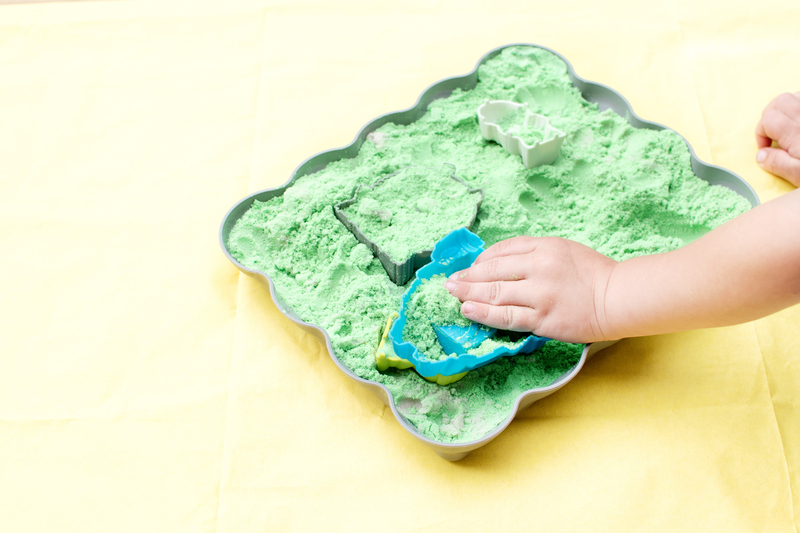 The sand never dries out [hooray] which in theory means it will last longer – but as there are three sets of hands in the mix, the sand goes out of the tray as each of them models something, and so we’ve bought sand to add to the mix as it gets dispersed around the house. I’ve now taken to making them use it outside. Ha ha. 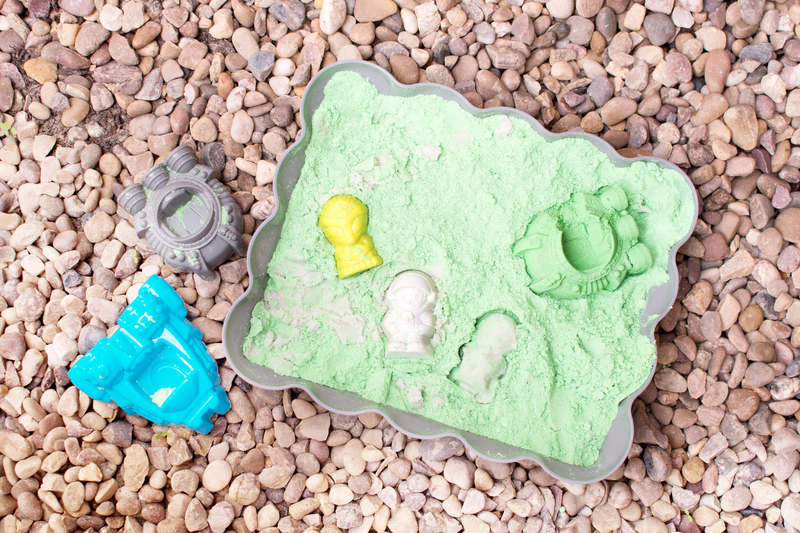 You can mold the little space person and alien, and seat them in their vehicles – or use little Disney Aliens as our boys seem to prefer…of course. And here are some chubby baby fingers. You’re welcome. You can buy Cra-z-Sand in most stores now, from Character Online.